If you’re ever among the many Americans who feel overwhelmed by work or school; family or community; caretaking for others or your own health and well-being; or any of dozens of others of sources of stress, you may be relieved to learn that just a few subtle shifts can make a major difference. 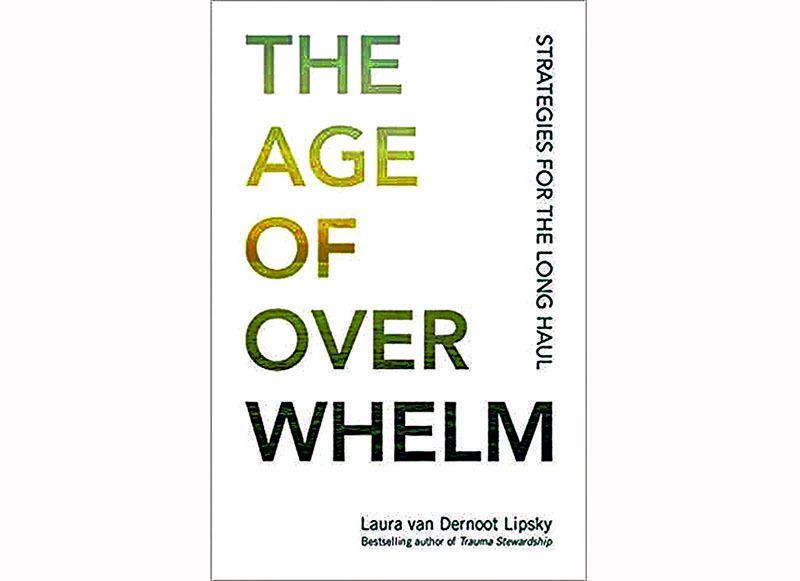 To help, Laura van Dernoot Lipsky, best-selling author of Trauma Stewardship, offers concrete strategies to mitigate harm, cultivate decency and equitableness, and act with integrity in her new book The Age of Overwhelm: Strategies for the Long Haul (Penguin Random House). The first step toward overcoming being overwhelmed, she says, is to separate what is and isn’t within your control; the second step is to act on that which is in your power to change and relinquish what is not. Combining cartoons and sage advice, Lipsky moves readers through the process of minimizing distraction and heightening intention. By paring away the unnecessary, she advises, people do less of what erodes them and more of what sustains them, asserting that only then can you be a force for good in the world. Lipsky is globally recognized for her pioneering work on understanding the effects of exposure to trauma. She draws from her own research, personal observations and three decades of experience working with nearly every type of civic and organizational venue – from small-town organizations to massive international disaster scenes. Lipsky is also the founder and director of The Trauma Stewardship Institute, where she works to raise awareness about the cumulative toll on people exposed to suffering, hardship, crisis and trauma as they care for humans, other living beings or the planet itself.